Within the project “Transparent and Accountable Public Enterprises in B&H – TAPE“, workshops were held with representatives of four partner public companies on May 17 and 18, 2018. The project team of Eda with the operational teams of JP “ŠPD ZDK” a.d. from Zavidovići, JP “Horizontal” d.o.o. from Živinice, JP “Zenica” d.o.o. from Zenica and JP “Vodovod” d.o.o. 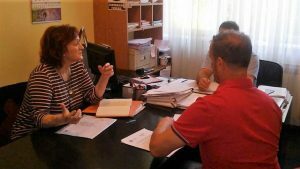 from Prnjavor was working on preparation and agreement for publishing of the annual business plans for the current year and the business report for the previous year. 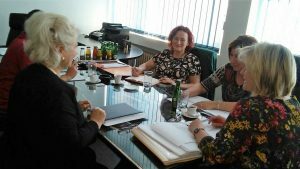 The proposal of the guidelines for preparation of these documents was discussed, as well as the proposed model of the above documents, which will be finalized after discussion and conclusions from the joint workshop of the operational teams of all 10 partner public companies which will be held in Banja Luka on May 30, 2018. The goal is to publish on websites of public companies all the data that create the essence of transparency, i.e. the availability of data for citizens through provided guidelines and models of annual business plan and business report. 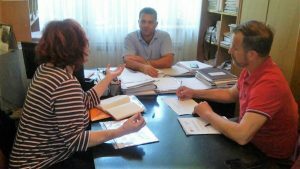 The operational teams were informed that it will be organized a meeting of the Working Group of the TAPE project in Banja Luka on May 24, 2018 where it will be discussed working versions of the amendments to the Laws on Public Enterprises in Republika Srpska and Federation of BiH, as well as the Regulation on Transparency of Financial Relations. Since the amendments have been submitted to all operational teams for comments and suggestions, at the planned joint workshop the operational teams will be informed about the meeting of the working group and the achieved results. The project “Transparent and Accountable Public Enterprises in B&H – TAPE ” is funded by the Kingdom of the Netherlands.